BMW India recently announced that it would bring the new MINI Clubman to India for the first time. BMW's retro-chic MINI subsidiary revolves around the classic "hardtop" model in ever-widening circles. The latest from Munich - that's where the Oxford/UK-built vehicles are designed these days - is the second-generation Clubman - and that is what will be launched in India later in 2016. When its predecessor was launched in 2007, the company refused to describe it as a "Shooting Break" - although with its elongated tail, its two-door concept with an additional half-door, and its altogether sporty demeanour, it met the very definition of that segment. With the new model, which looks like a four-door station wagon to our eyes, the company is more generous: It is now described as "an interpretation of the Shooting Break that, for the first time, meets the requirements of the compact segment." Semantics aside, the new car still looks interesting. 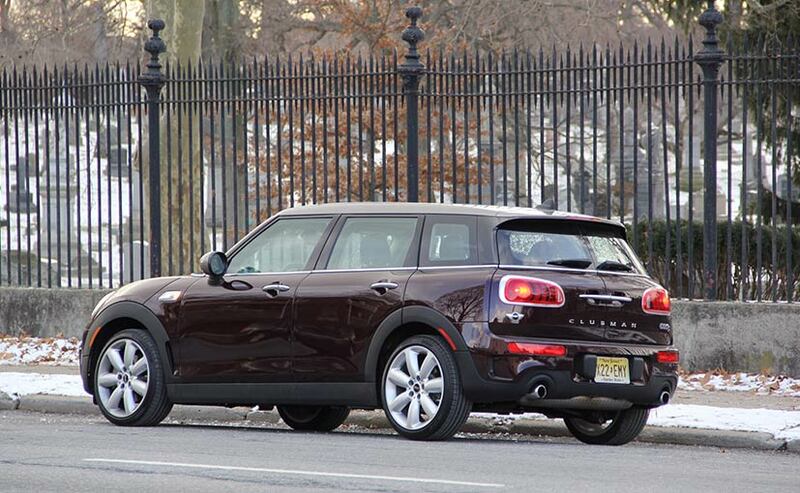 Its tailgate is vertically split, prompting the brand to call the Clubman a "six-door." And it's even longer and wider than the boxy Countryman (and also more expensive), and of course than the four-door version of the regular MINI, with which it shares the new, front-wheel drive architecture. 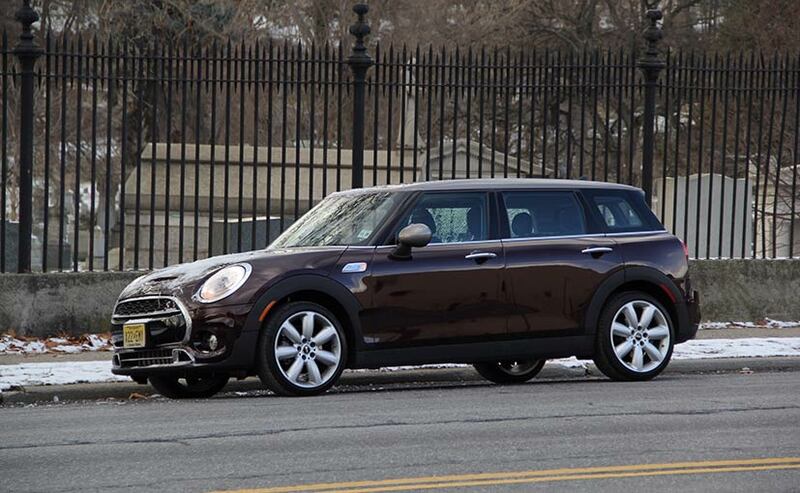 With the advent of the Clubman, MINI now has three four-door station wagons in its lineup. Do they believe there won't be any cannibalisation? While Europe gets the option of three gasoline engines plus three efficient and clean (yep) diesel engines, the Clubman goes to the US market with just two petrol engines: A 134-horsepower, 1.5-litre three in the Cooper - and a 189-horsepower, 2.0-litre four in the Cooper S. Both models come with a standard six-speed manual; the three-banger can be ordered with a six-speed automatic, while the corresponding slushbox on the four-cylinder version boasts no less than eight forward speeds. Both engines are sufficiently agile; we like the smaller 1.5-litre Cooper, which has a unique and sporty soundtrack that fits the quirky character of the Clubman. 60 mph comes up in just under 9 seconds, and it tops out at 129 mph - a purely theoretical figure on the US market. The Cooper S, of course, shaves off an impressive 2 seconds in the standard sprint, and it'll do 142 mph - but its engine sounds fairly nondescript, and there is a slight tradeoff in handling due to the heavier powertrain. But even with the bigger engine, the Clubman is sufficiently agile, it feels safe and solid - but it fails to evoke the go-kart-like feeling that customers have come to expect from the brand. The difference between the driving modes "Green," "Mid" and "Sport" isn't huge - and we'd save the money for the adaptive damping system: The standard suspension works just fine. The Clubman comfortably seats four, with surprisingly generous space for luggage, and it works well even for long-distance travel. 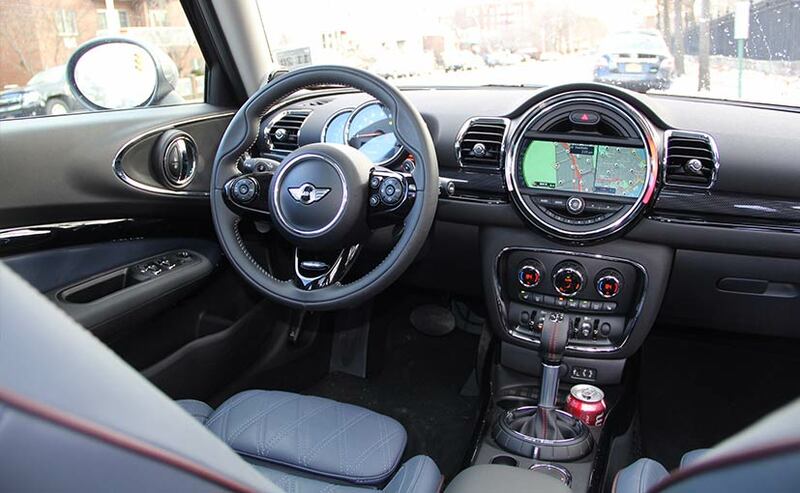 Up front, there is an entirely new dashboard, but it sticks to the established Mini theme - which is characterized by circles and toggle switches, frills and furbelows. The speedometer has found its place directly in front of the driver, regardless of whether the pizza-sized centre screen is fitted with the expensive but perfect navigation system or not. 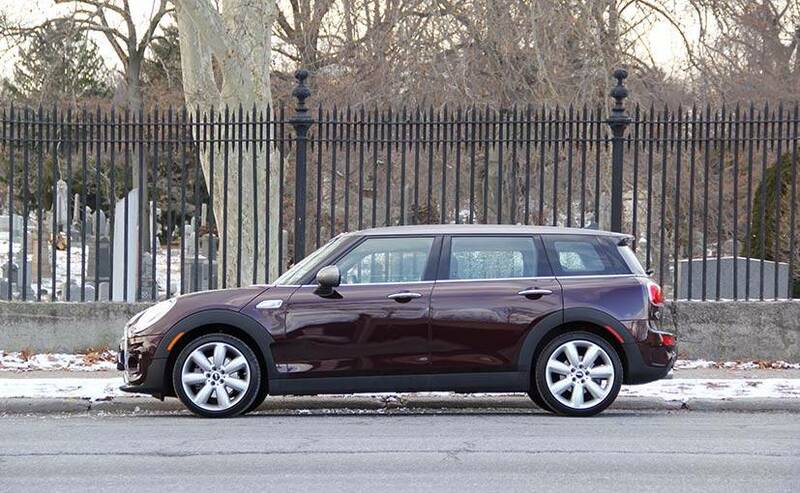 We like some of the Clubman's cute details, such as the fin-shaped roof antenna that blinks when the car is locked or unlocked (and makes it easier to spot in a parking area), or the fact that the rear barn doors can be operated electrically. Altogether, the interior is rather busy, so may we suggest you order your seats in soothing Indigo Blue? It's nice to see that colour back. There are few competitors for the MINI Clubman, the closest ones being the Volkswagen Golf SportWagen and the Fiat 500L. While this writer prefers the VW's cold demeanour, we fully understand if you'd rather go for the Mini's upscale and playful style. And the Fiat 500L? Pope Francis' frugal Popemobile is quite a bit cheaper than the MINI Clubman - but a direct comparison might convince you that moving up to the Clubman Cooper or the Cooper S, is well worth it. We will await details from BMW India on the final India spec on the Clubman.